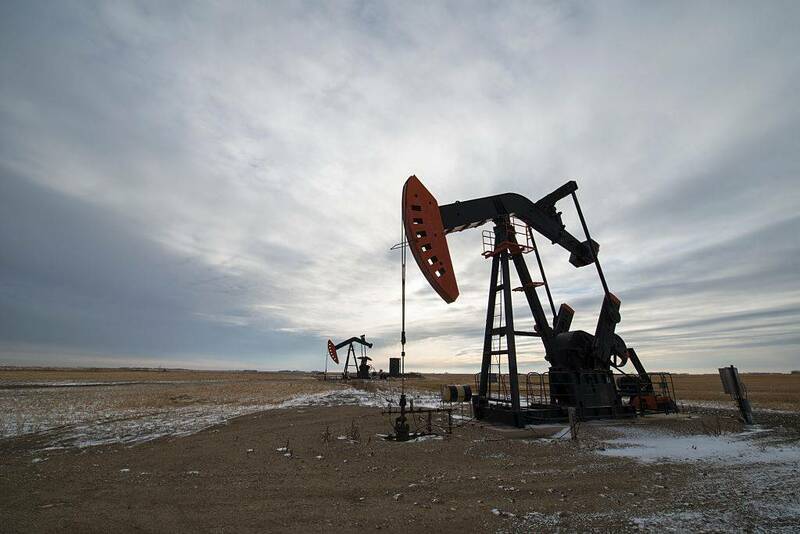 A majority tribunal at the International Centre for Settlement of Investment Disputes (ICSID) awarded Caratube International Oil Company LLP (Caratube) USD 39.2 million plus interest for the unlawful expropriation of its oil contract rights by Kazakhstan. The claimants were Caratube and its majority shareholder, Mr. Devincci Salah Hourani, a U.S. national. The dispute arose from an oil exploration and production contract concluded between the Kazakh Ministry of Energy and Mineral Resources and Consolidated Contractors (CCC) in 2002. After a few months, CCC assigned the contract to Caratube. The contract provided for an exploration phase of five years (with possibility of two extensions) and a subsequent production phase. The exploration phase was extended once, in 2007. Following a recommendation by the prosecutor’s office, the ministry sent notices of breach of contract to Caratube and later terminated the contract unilaterally in January 2008. Kazakhstan alleged that the terminations were due to Caratube’s failure to carry out essential exploration works, amounting to material breaches. The claimants alleged that the termination and subsequent harassments were politically motivated due to the fallout between the president of Kazakhstan and Mr. Rakhat Aliyev, an associate of the Hourani family. The dispute gave rise to several proceedings. The Caratube I ICSID case under the Kazakhstan–United States bilateral investment treaty (BIT) was dismissed for lack of jurisdiction and ultimately upheld in annulment proceedings. The present claims—for expropriation, fair and equitable treatment (FET), full security and protection, among others—relied on the contract, which includes an arbitration clause, and on Kazakhstan’s Foreign Investment Law (FIL), which contains substantive protections. First, Kazakhstan argued that Caratube abused process by splitting and bringing repetitive claims, which should have been brought under Caratube I. The tribunal held that the initiation of multiple proceedings by itself is not abusive. While the claimants could have raised the present claims previously, the failure was not motivated by bad faith. It accepted that the claimants had a legitimate strategic interest not to bring unnecessary claims under Caratube I and held that they failed to meet the high evidentiary threshold of abuse of process. Second, Kazakhstan contended that the claims were purely contractual, thus governed by the Kazakh statute of limitations. Accordingly, it argued that the claims expired in 2013, and that Caratube I did not interrupt the period given that jurisdiction was denied. The claimants maintained that their claims were not subject to domestic law limitations given their international nature. The tribunal found that Caratube acted diligently in initiating the first proceeding and later the annulment proceedings. It held that it is incompatible with international prescription principles to punish a diligent party who acted reasonably on grounds that were not manifestly unfounded. Third, Kazakhstan argued that issue preclusion (collateral estoppel) and claim preclusion (res judicata) barred the claims. Kazakhstan contended that the issues presented had been decided by the Caratube I tribunal. The claimants countered that Caratube I rejected jurisdiction exclusively on the basis of the BIT. The tribunal reasoned that, for collateral estoppel to operate, the issues must be identical and fundamental to the dispositive part of the earlier award. It found that Caratube I had not finally decided on all jurisdictional issues and that those it decided were not identical to issues in this arbitration. According to the tribunal, the decision on jurisdiction in Caratube I depended on the consent-granting instrument—namely, the BIT—which was not the same in the present claims. Similarly, it rejected the res judicata objection, which requires identity of subject matter (the relief sought) and cause of action (the legal grounds) between the proceedings. The tribunal recalled that the fundamental basis invoked in Caratube I was the BIT, in contrast to the contract and the FIL in the present case. Thus, it concluded that there was no identity of claims. The ICSID Convention requires that the parties agree to submit their disputes to arbitration. Further, Article 25(2)(b) concerning juridical persons requires the host state to treat foreign-controlled local subsidiaries as nationals of another contracting state. Kazakhstan argued that Caratube does not meet these threshold requirements. Concerning the requirement to treat the investor as a national of another contracting state, the tribunal found that, under the contract, the parties agreed that the “Contractor” would be treated as a foreign national for the purposes of the ICSID Convention. Kazakhstan argued that this provision applied to CCC, Caratube’s predecessor, but did not extend to Caratube, as it is a Kazakh company and a mere assignee of the contract. The tribunal rejected this argument, finding no reason to treat Caratube any differently, particularly given that Kazakhstan approved the assignment of the contract. As to the foreign control requirement, the dispute was whether that meant effective control or formal (legal) control. Kazakhstan argued that Mr. Hourani did not exercise effective control over Caratube and hence there was no foreign control. The tribunal held that the ICSID Convention does not require actual control and that Kazakhstan did not rebut the presumption that Caratube, being majority-owned by a foreign national, was under foreign control. Concerning the consent requirement, the tribunal held that Kazakhstan consented when concluding the contract with CCC and later agreeing to the assignment. The tribunal rejected the argument that consent was for claims arising out the contact, but not out of the FIL. It agreed with the claimants that the substantive protections of the FIL are incorporated under the contract. The contract states that all of the transactions contemplated under it “shall be deemed to constitute an investment within the jurisdiction of ICISD” (para. 630). Kazakhstan, however, argued that investment has an objective meaning that could not be extended by agreement. The tribunal rejected this argument and held that an agreement regarding the existence of an investment precludes the parties from later challenging ICSID’s jurisdiction based on the alleged absence of an investment. It found no sufficient evidence of unlawful use of U.S. nationality to access the tribunal. The tribunal found that it does not have jurisdiction over Mr. Hourani’s claims, given that the only potentially available consent-granting instrument—the FIL—was repealed in 2003, over a year before he acquired his shares in Caratube. Caratube argued that the contract was unlawfully terminated due to political motivations while Kazakhstan maintained that termination was due to material breach. The tribunal defined expropriation as (i) unreasonable substantial deprivation of existing rights, (ii) of a certain duration and (iii) caused by a sovereign act of the host state (para. 825). It followed the legal standard of the FIL, which mirrors expropriation standards in customary international law. The majority held that Caratube had not made any commercial discovery of new oil deposits and thus had no vested right to proceed to the production phase. However, it held that Caratube still had rights under the exploration phase as well as a possibility of fulfilling the requirements to move to the production phase. According to the tribunal, Caratube had the right to perform until the end of the first extension period and the possibility to request a second extension. Further, it held that Kazakhstan failed to establish that any breaches by Caratube were material breaches, and that it failed to give adequate notice of breach. Noting that the investment was worthless without the contract, and that the deprivation was of a permanent nature with no public interest in view and no payment of compensation, the majority held that Kazakhstan unlawfully expropriated Caratube’s investment. The tribunal also decided that the intervention by the prosecutor’s office by sending “recommendations” to the ministry evidenced the sovereign nature of the acts. It found no authority or prior experiences of such intervention by the prosecutor’s office. Though the majority found no proof of the alleged politically motivated harassment, it held that the striking coincidence between the termination and the Hourani family’s fallout with the state evidenced that the real motivation lay in the family and political context. Finding that Kazakhstan expropriated the investment, the tribunal found it unnecessary to decide upon claims of other breaches. The tribunal rejected the claimants’ request for lost profit and opportunity, holding that both claims were uncertain and speculative. It also rejected the moral damage claims due to the alleged harassments that lead to humiliations and loss of reputation as claimants failed to meet the burden of proof. The majority awarded sunk investment costs of USD 39.2 million plus interest from the January 2008 termination onwards at the LIBOR rate plus 2 per cent, compounded semi-annually. Each party was left to bear its own legal fees, with arbitration costs split equally. Kazakhstan’s nominee, Jacques Salès, dissented on the tribunal findings of expropriation. The dissenter held that the seismic study submitted by the claimants could not establish oil reserves with any certainty. Further, he stated that the prosecutor’s conduct was authorized as he was doing his job in upholding enforcement of the law. He also reasoned that sufficient notice was given. Notes: The tribunal was composed of Laurent Lévy (president, appointed by the parties, Brazilian and Swiss national), Laurent Aynès (claimants’ nominee, French national) and Dr. Jacques Salès (respondent’s nominee, French national). The award of September 27, 2017 is available in English at https://www.italaw.com/sites/default/files/case-documents/italaw9324.pdf.